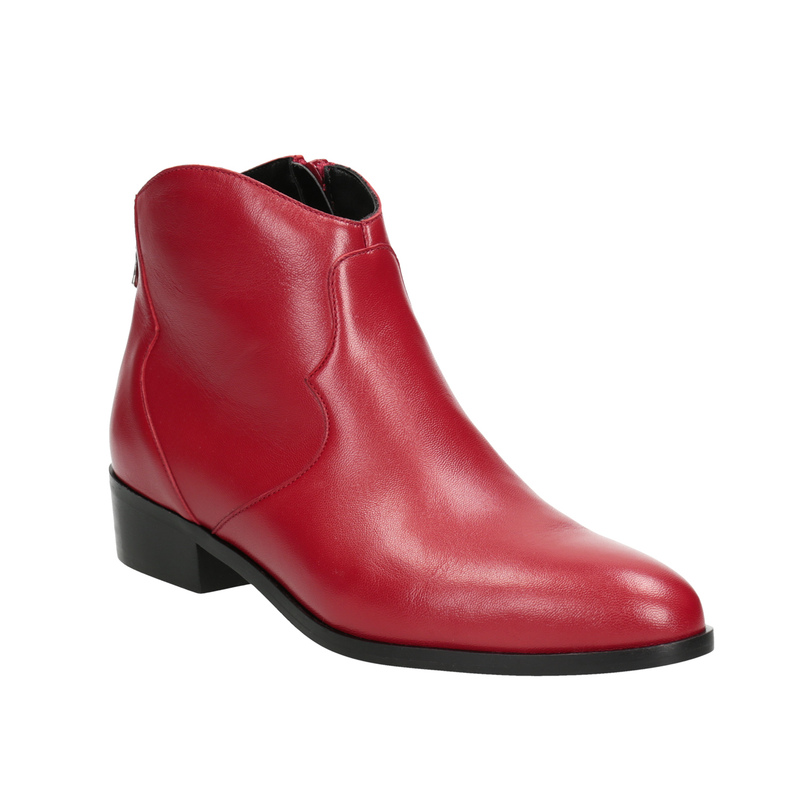 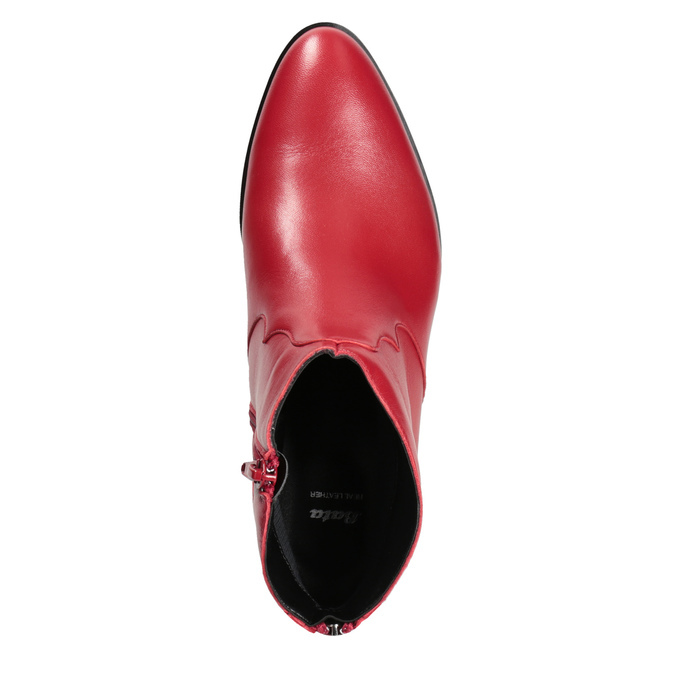 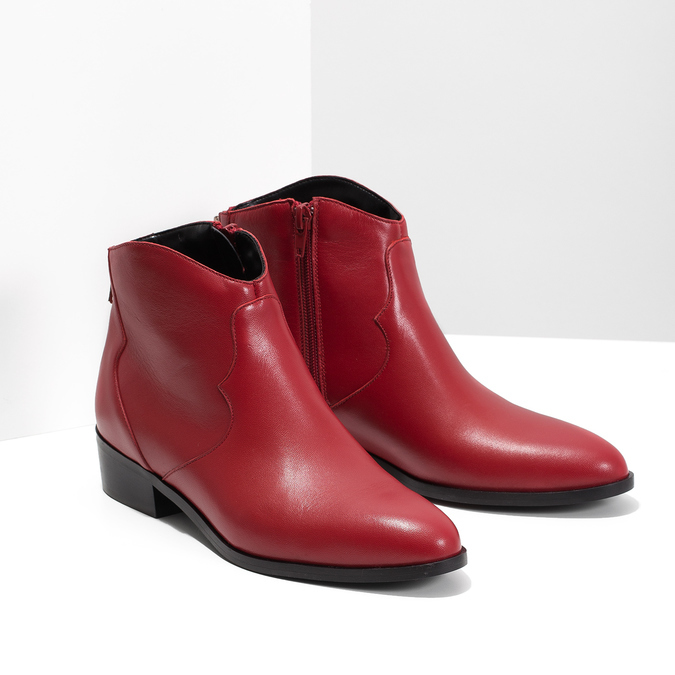 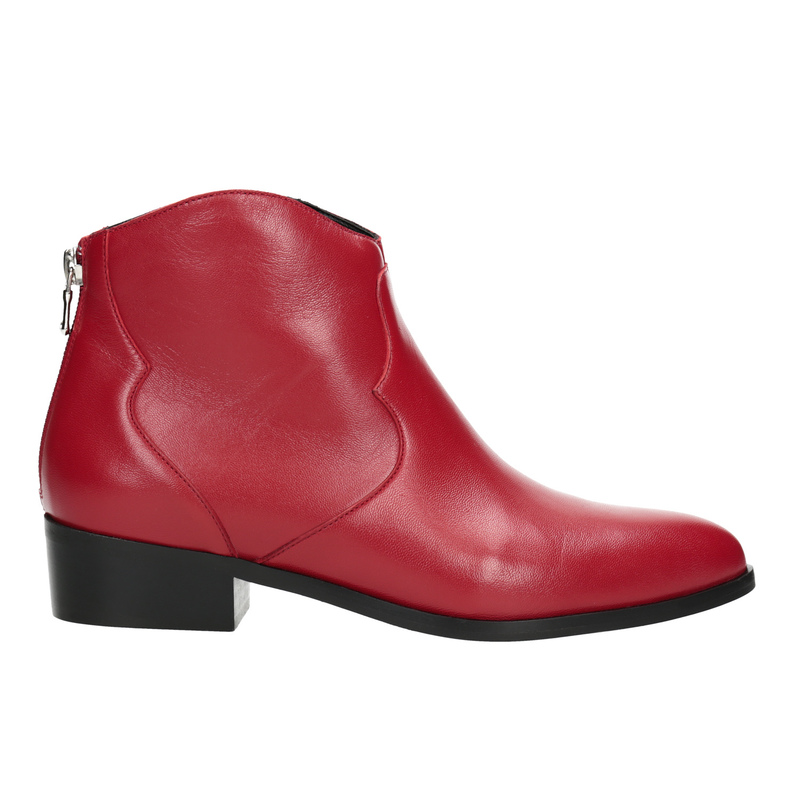 These ladies’ red high ankle boots have a leather upper and insole. 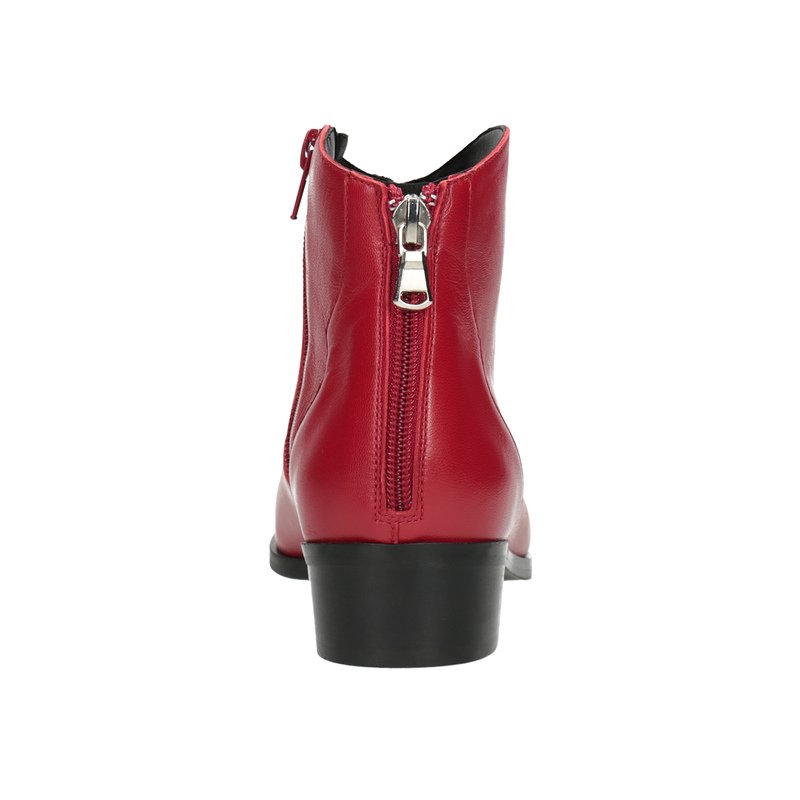 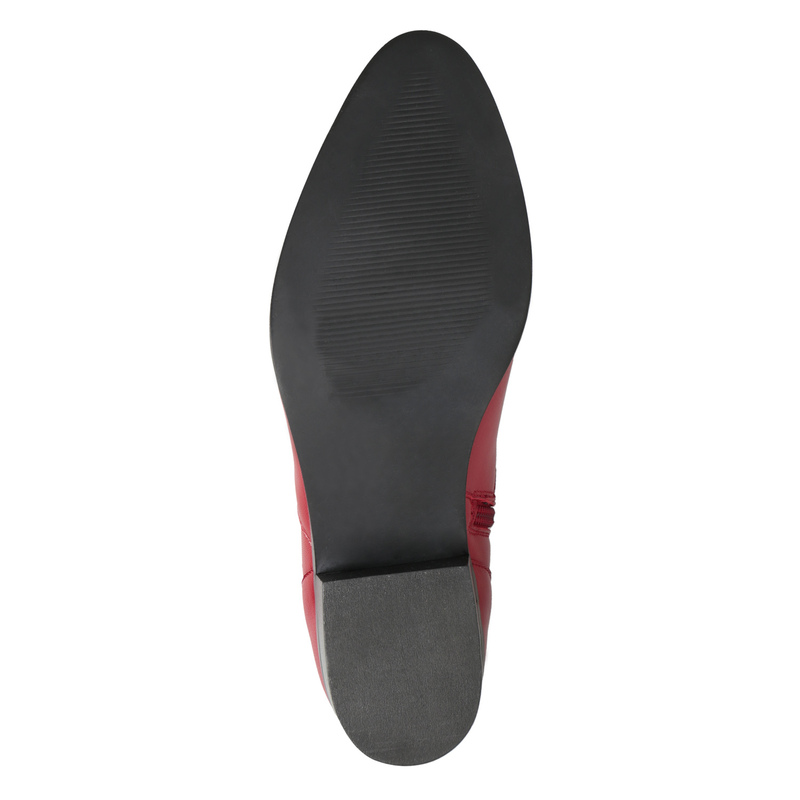 There is a decorative zip at the heel, and a zip on the inside to make them easier to put on. 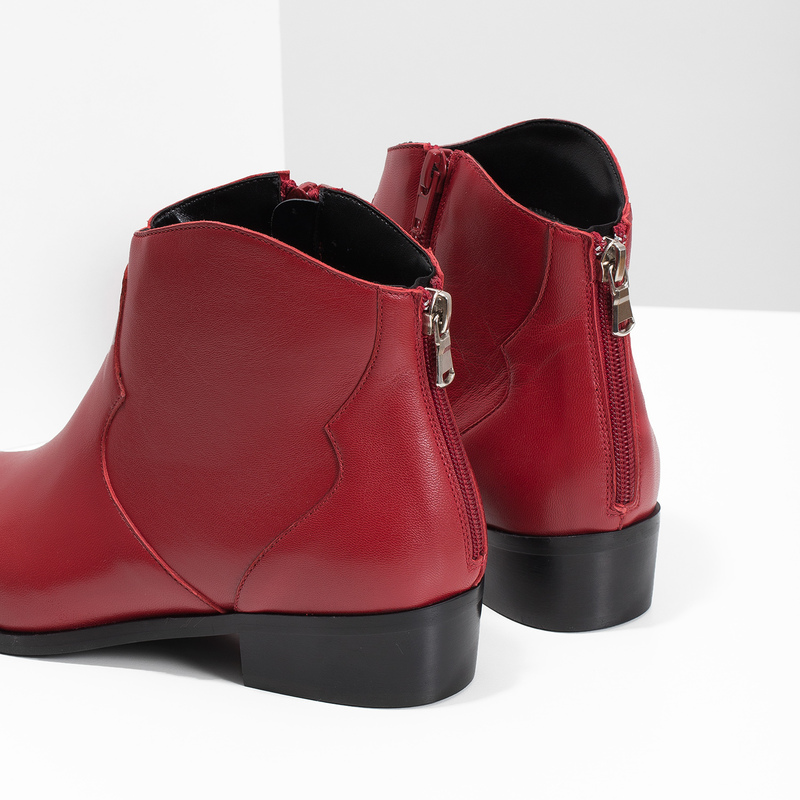 They are looser around the ankle and will look great combined with turned-up Boyfriend jeans. The red is this season’s hottest trend and will add a touch of flair to any outfit.